Ask and ye shall receive. The lack of bagels has long been a cause celebre among food writers and other culinary types. Now Austin appears to be on a roll. 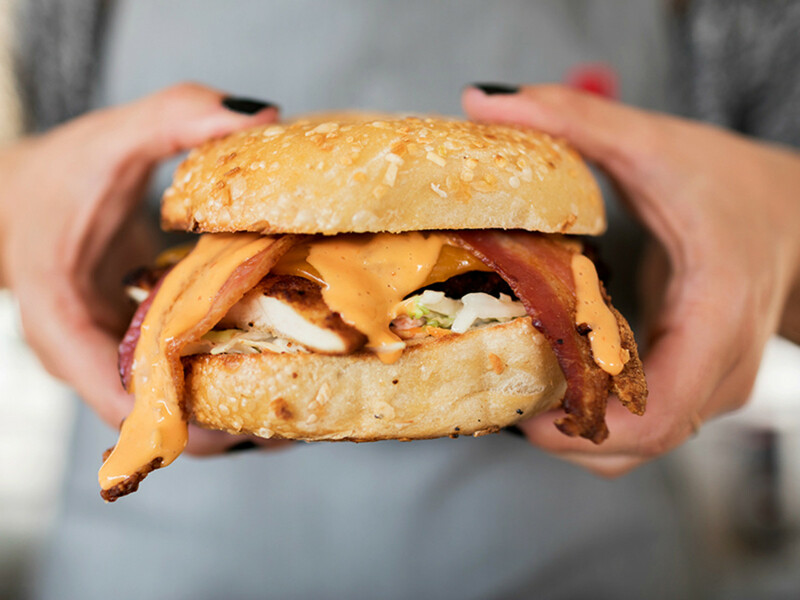 New York transplants Chris Cunningham and Ali White are bringing authentic, New York-style bagels to town with the opening of Nervous Charlie’s at 5501 N. Lamar Blvd. near popular Thai eatery Titaya’s and right next door to long-running feminist bookstore BookWoman. According to Eater Austin, the owners are projecting an April opening date. For Cunningham and White, the project was born out of necessity — the pair just couldn’t find the types of bagels in Austin that they took for granted on Long Island. The dough — made from a family recipe — will be imported from New York, then supplemented by local ingredients. Bagel varieties include classics like poppy, sesame, everything, salt, and cinnamon raisin to more contemporary takes like sun dried tomato, multigrain, French toast, and jalapeño cheddar. The breakfast staples can be ordered can be ordered with butter, light or regular cream cheese, and schmears in a variety of flavors including bacon scallion, strawberry, pistachio, maple walnut, and peanut butter. The restaurant will also offer bagel sandwiches. For breakfast, that means traditional lox, hearty selections like the Longhorn (fried eggs, black pepper ham steak, potatoes, cheddar, and hot sauce on an everything bagel) and Party at the Moontower (thick cut bacon, cheddar and pepper jack cheese, and maple syrup served on a French toast bagel), and lighter fare like the Alexa (light cream cheese, tomato, and avocado served on a wheat bagel). For lunch, diners can build their own sandwich from Redbird and Boar’s Head meats, several cheeses, and a selection of toppings and condiments. There are also custom creations like the Big Apple (turkey, sliced apple, brie, and honey mustard on multigrain), the Cobb (with all the traditional fixings of the popular salad), and the Ultimate Italian (every cold cut imaginable served with roasted red peppers and oregano). A “salad bar” will take care of the carb averse. Customers can build from assorted greens, then add up to five toppings including broccoli, apples, walnuts, croutons, alfalfa sprouts, cheeses, and meats. The dressings include lemon basil vinaigrette, honey mustard, and ranch — this is Texas after all. The cafe, named after the couple’s Cavalier King Charles Spaniel rescue, will also carry coffee, cookies, and eventually beer.